Happy Sunday everyone! I'm just making this post short and sweet for today. It's been a long but blessed day for us after we have fellowshipped with our brothers and sisters in Christ from our Worship Service this afternoon followed by a scrumptious fellowship dinner. 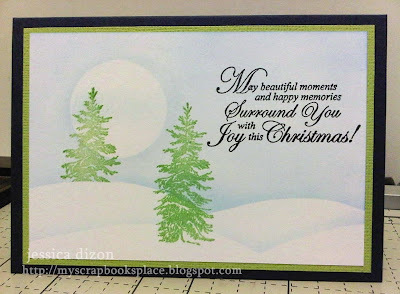 The sentiment is from Christmas Nested Sentiments set of Justrite Stampers but the Fir tree stamp is from a different stamp company (I forgot the name). 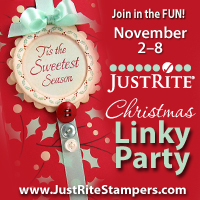 I hope this will qualify to the Justrite Christmas Linky Party challenge though but if not, I'm still happy to share it with you. 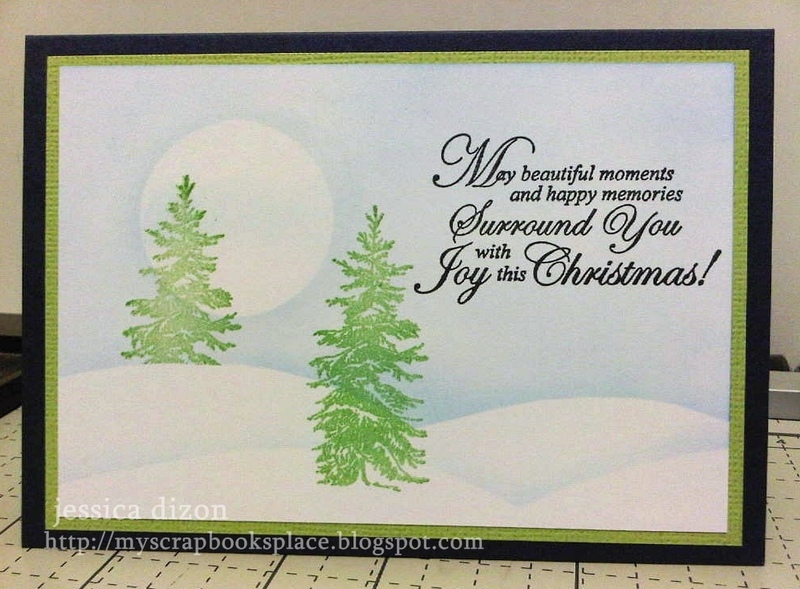 I created the scene by masking and sponging and I somehow like how it turned out. Thanks for the visit and have a blessed day!